Maria Anton -- District Finalist! 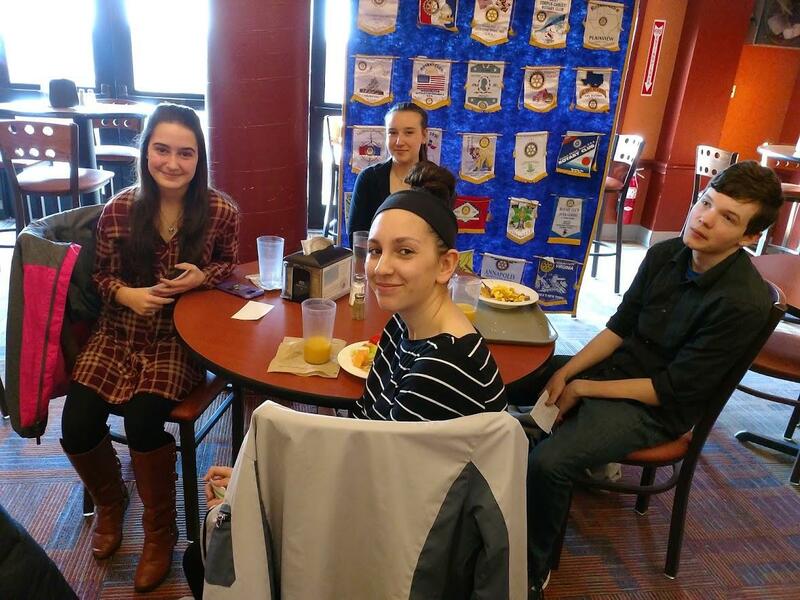 (L to R) Jennah Haney, Bailey Brewer (rear), Maria Anton (front), and Ayden Faircloth take a moment during breakfast to pose for the camera. The four gave their "Four-Way Test" speeches, each of which lasted about five minutes. All four did an outstanding job, and our four Rotary judges had their work cut out for them insofar as determining the winner. 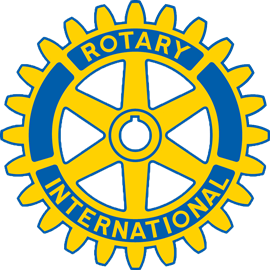 When the dust had settled, Maria Anton was selected to represent our Rotary Club in the District Semi-finals in Henniker this past Sunday. 13 students from Vermont and New Hampshire competed in the District Semi-finals, and Maria was one of four finalists selected to compete in the Speech Final Competition at the District Meeting on May 4th. Congratulations, Maria!